Welcome to plugwiring.co.uk where we have a selection instructions on how to wire various plugs. Choose the instructions you require using the icons below. How to wire a 13 amp 3 pin plug. 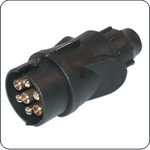 How to wire a 7 pin trailer/Caravan plug (type 12N). How to wire a 7 Pin (12 S type) Caravan Plug. 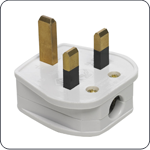 Pre 1999 (British standard) and post 1999 (European standard) wiring diagrams are available. How to wire a XLR (Cannon) audio plug. With wiring diagrams for balanced and unbalanced line.